This track is featuring heavily on TV adverts in the UK at the moment, its a great trip back to the Psychedelic 60's with Lennon-esqe vocals and a great buzzing guitar riff. "Elephant" was the first track to be released from Tame Impala's second album Lonerism and the video was filmed by artist Yoshi Sodeoka, with live footage provided by The Silentlights. 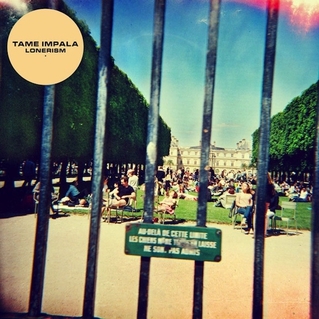 Frontman Kevin Parker has been reported as saying that the song is not really a song about being a loner, but a song about the bully. He goes on to say "It's the guy who thinks he's great, the jock. Imagine a real reclusive guy who's a bit bitter about this guy who thinks he's great. Which is the opposite vibe of the loner, so it presents him in the worst light." It does have that feel to it. Also the music reminds me of early Pink Floyd, like Ummagumma. The whole album is amazing. This and their debut are personal favorites of mine. I like psychedelia, but not mad on this. Nice to see an Aussie band featured, Ray!